Thank you to all our vendors who participated in our 8th annual Fall Fairfield. Fall Fairfield vendors offer an engagement or educational aspect, rather than the selling of material goods. 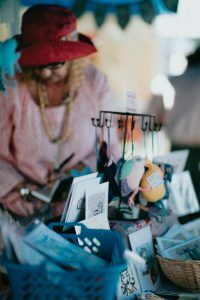 If you are interested in being a vendor for 2019; to be considered, you must provide an engagement element for the community. Fall Fairfield is a free, all-ages festival with a focus on the harvest season and we will see you next year! Please fill out the Vendor Application Form below to register as a vendor for Fall Fairfield. Please provide a short description of how your booth will engage with patrons (i.e. spin a wheel, button making) Food vendors please put food. If you have any questions about vending at Fall Fairfield please email event@fairfieldcommuity.ca.